Change log for the next release of QGIS 2.4.0. The emphasis on this release has been very much on polish and performance - we have added many new features, tweaks and enhancements to make the user interface more consistent and professional looking (and hopefully easier to use). 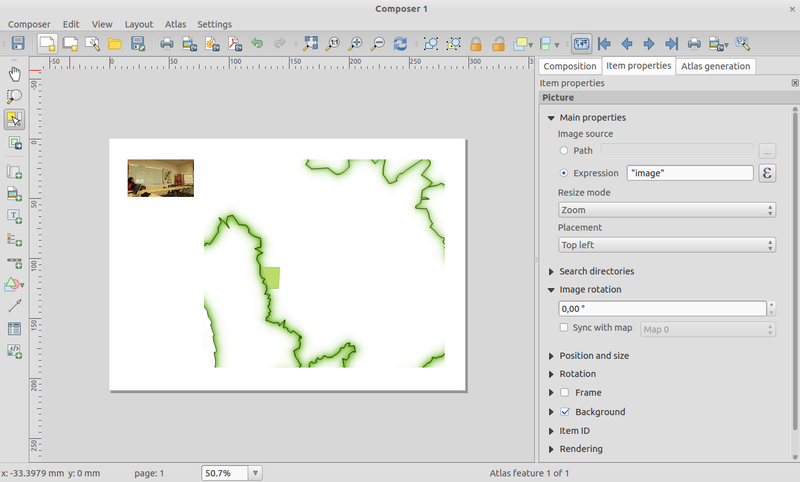 The composer (used for creating print ready maps) has had a lot of work done to it to make it a more viable platform for creating great cartographic outputs. A current list of donors who have made financial contributions large and small to the project can be seen on our donors list. If you would like to make a donation or sponsor our project, please visit our sponsorship page for details. 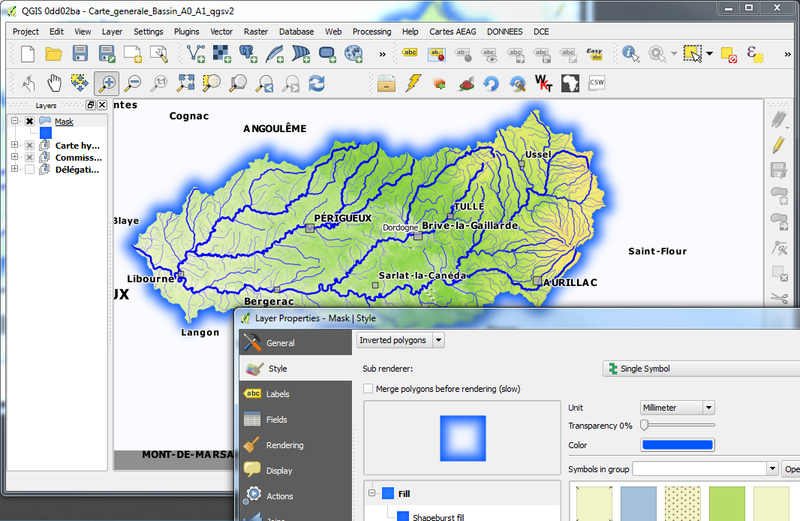 QGIS is Free software and you are under no obligation to do so. Sponsoring QGIS helps us to fund our six monthly developer meetings, maintain project infrastructure and fund bug fixing efforts. The NetCDF provided extra dimensional information. This information provides metadata on each band. These metadata can be used to explain the name of each band. For example, the bands of a NetCDF file represents the temperature at a given depth. For the user, it is easier to select a band with depth information, rather than only the band number. In some raster datasources, data are stored as interger with a scale and an offset in the metadata. The scale and offset can be used to get the right data. 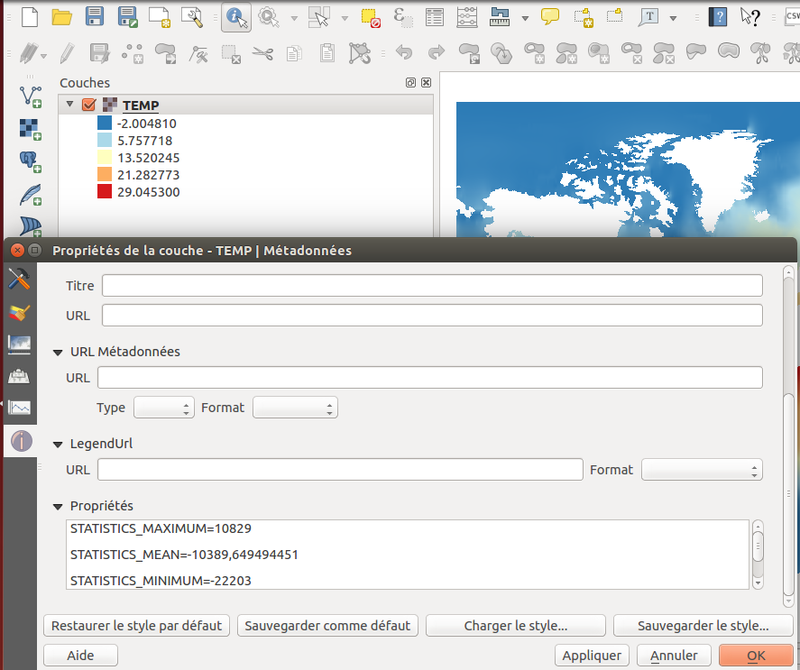 QGIS applies its to raster data to provider to users right information for legend, histogram and identify. 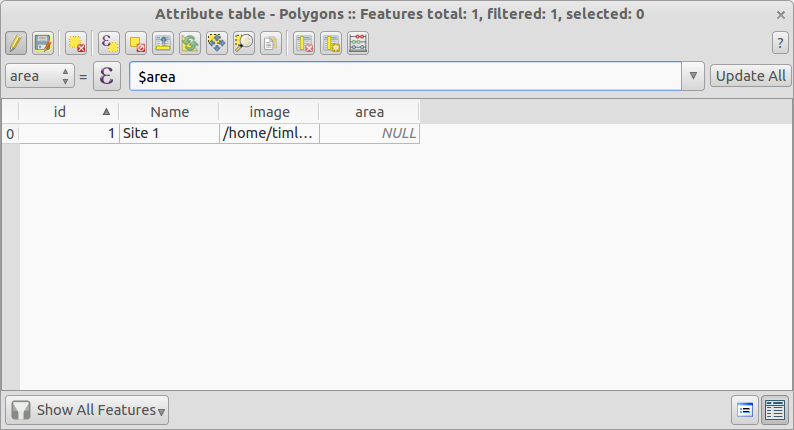 We have a great new feature for those working with calculated fields in vector attribute tables. The new quick calculation bar lets you update the values in a column in the attribute table quickly and easily. A really innovative feature that has been added to 2.4 is support for grayscale and colour blindness previews. This allows you to visualise how people with colour blindness will perceive your cartography and map layout, or how your map will look if it’s printed in grayscale. You can read more about this new feature here. 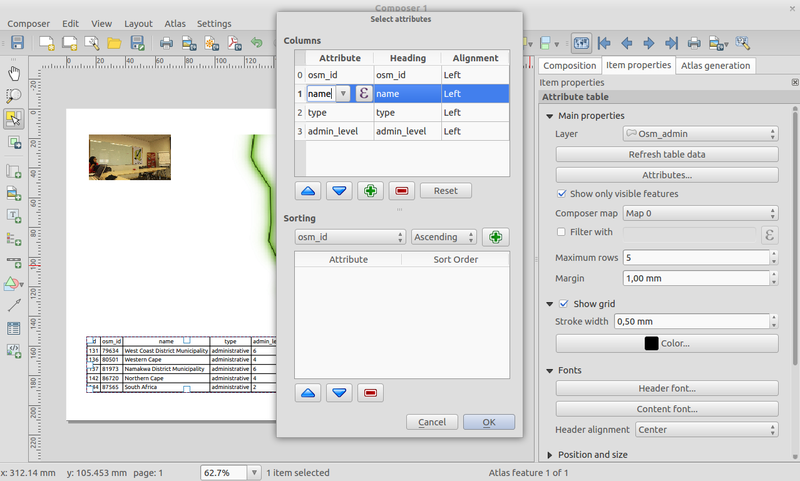 Added support for QGIS Layer Definition files or simply QLR (see http://nathanw.net/2014/03/12/qgis-qlr/). QLR file is a file that points to the data, contains all the styling, and other information. You can then just add this file and it will do all the other magic for you. QLR makes it easy to add same layer to multiple map documents, inheriting all of the properties which have been set and works with any layer supported in QGIS, expect special plugin layers. 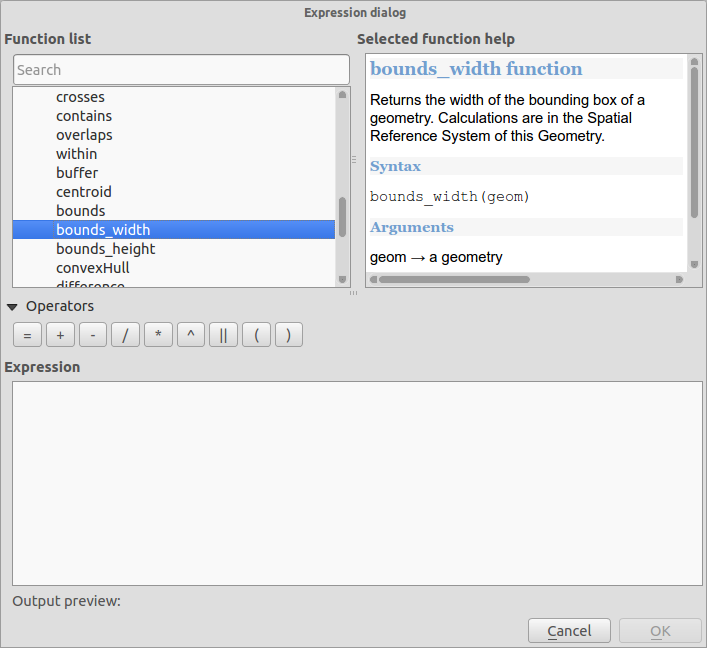 We have some new functions available in the expression builder. 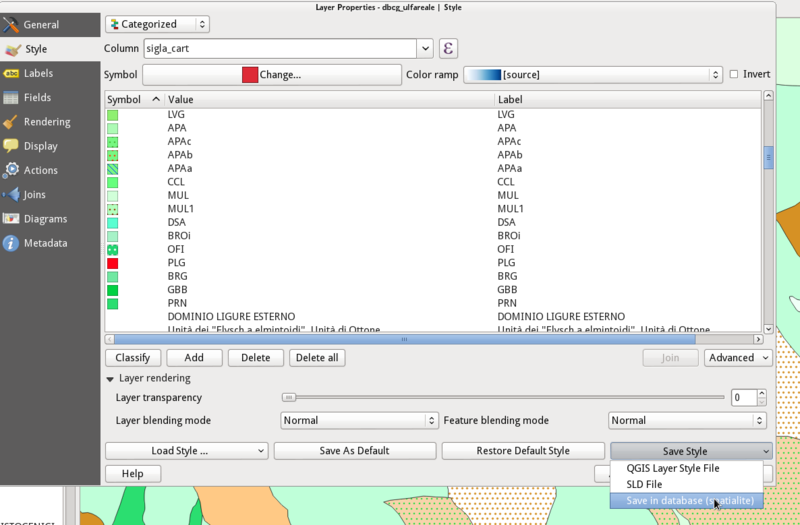 You can now copy, paste, drag and drop colours between any colour input widget in QGIS. See this article for more information on how this new feature works. 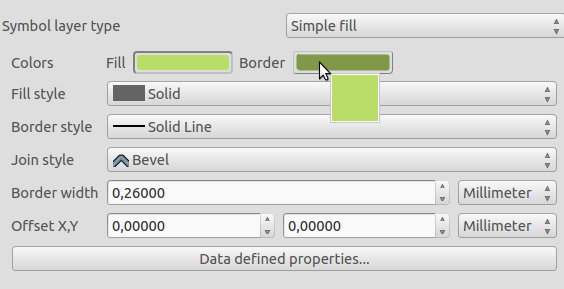 Hex color codes and rgb strings can also be pasted on to colour buttons to allow importing colours from outside of QGIS. This is one feature we simply cannot do justice to with a screenshot - QGIS now supports multi-threaded rendering! 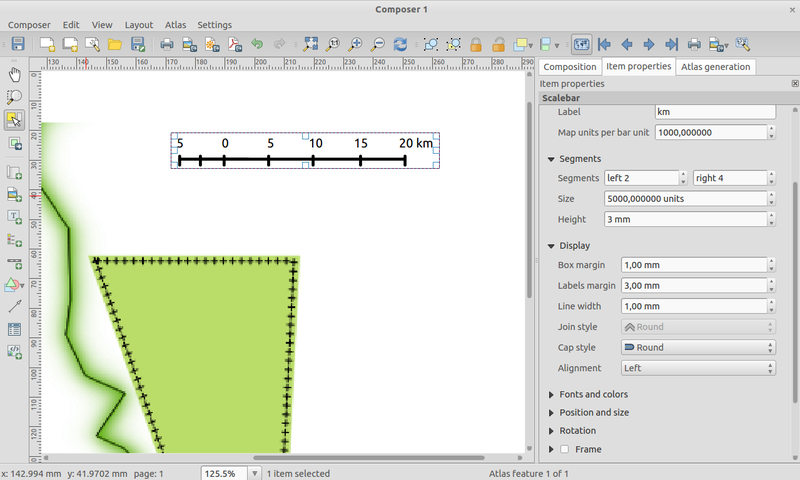 What this means is that when drawing the map, QGIS will split the drawing work between all of the cores in your CPU, making the process more efficient and responsive. By responsive we mean that you no longer need to wait for the map view to update before you can pan or zoom again. Also the map display updates incrementally allowing you to see if the map is positioned correctly early on in the drawing process. Take a look at this article for a more detailed overview of the multi-threaded rendering system. 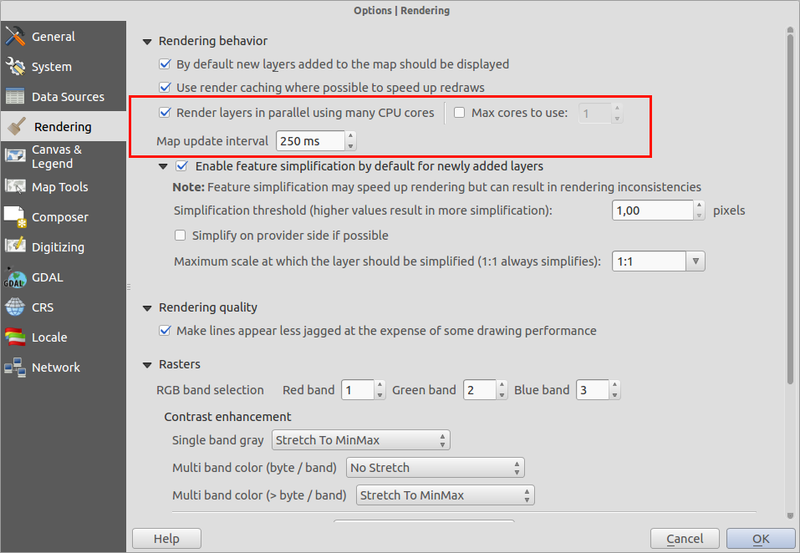 You will find some options in the QGIS settings dialog that allow you to manage the behaviour of multi-threaded rendering. 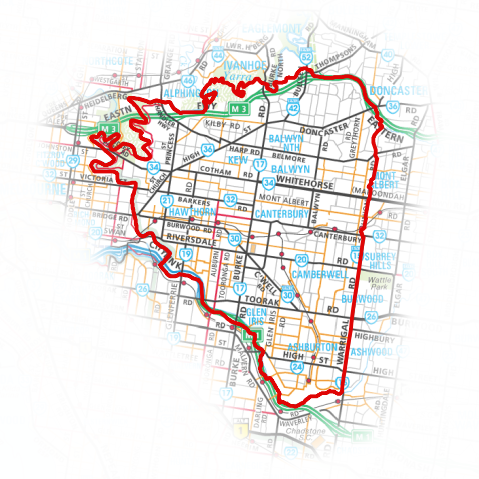 Long lines (such as contour lines or roads) can now be repeatedly labeled at regular intervals. One can choose between mm and map units for specifying the repetition interval. At the time of the release there is still an issue with “merge connected lines to avoid duplicate” setting. The image item in composer is now ‘atlas friendly’ - you can use an expression to define which image should be shown for each atlas page. You can also now set the resize mode (zoom, clip, stretch etc.) for the image in relation to its frame size and dimensions. You can also specify the placement of the image relative to its frame using the new placement item property. 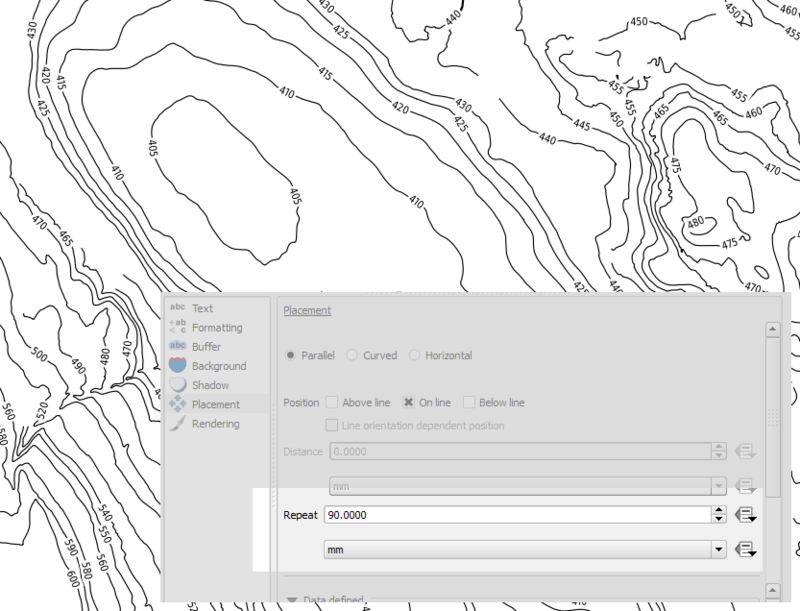 When working with atlas map items, you can now specify a predefined scale mode for the map. It will use the best fitting option from the list of predefined scales in you your project properties settings (see Project -> Project Properties -> General -> Project Scales to configure these predefined scales). HTML Frames in the composer have been improved. There is a new add frame button which can be used to manually create multiple linked frames. We have also improved our page break logic making it less likely that you will get page breaks that cut through the middle of lines of text when paginating HTML frames. MetaSearch is a QGIS plugin to interact with metadata catalogue services, supporting the OGC Catalogue Service for the Web (CSW) standard. 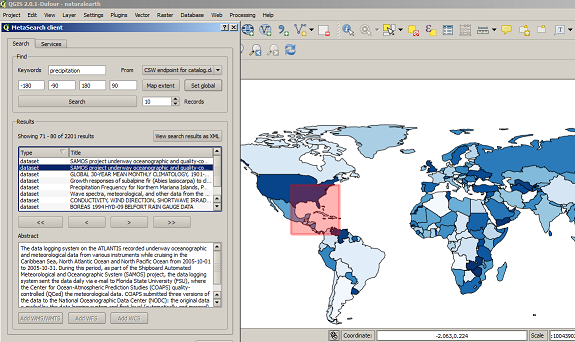 This plugin provides an easy and intuitive approach and user-friendly interface to searching metadata catalogues within QGIS and now ships by default with the QGIS core product. We have a great new render in QGIS 2.4. The shapeburst renderer will allow you to fill polygons with a gradient extending from the line edge towards the polygon interior. You can read more about shapeburst here. 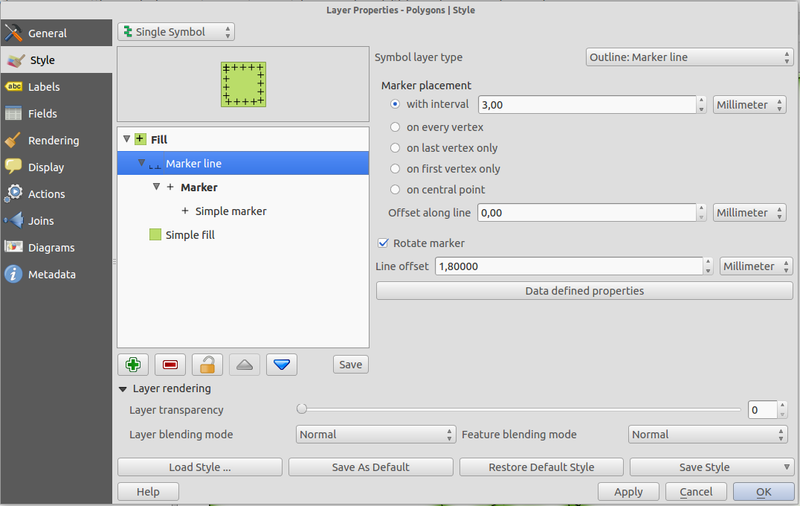 When using a marker line along a line or polygon edge, you can now specify an offset so that the marker line starts a set distance from the beginning of the line. If a marker line is set to “first vertex” or “last vertex” mode, than this offset will control how far along the line from the vertex the marker is placed. A new renderer has been added for polygon features, allowing you to style everything outside your polygons. This can be useful for highlighting areas, or for creating cartographic masks. 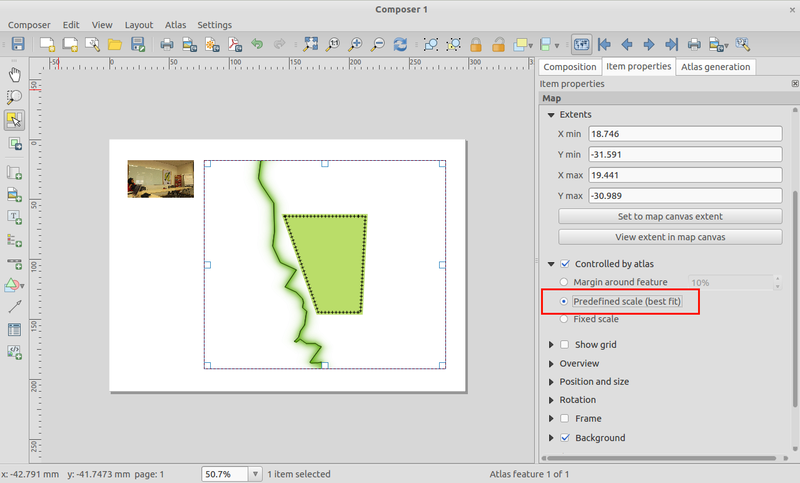 When used with new shapeburst style, you can now produce output as shown in the image for this entry. Note: The new version of plugin mask helps to easily create mask layers from the current selection, label features only in those areas, and generate an automatic mask in Atlas map generation.